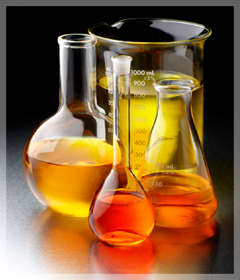 Metalworking Lubricants Company is a custom blender of metal removal and metal fabricating fluids established in 1952. We have worldwide service partners in China, Asia, Europe, Canada and South America. We provide fluids and services to the major OEM’s, 2nd and 3rd tier manufacturers as well as being a top supplier to major steel. Metalworking Lubricants Company prides itself in tackling our customer’s problem from both the process and fluid sides. We pride ourselves in partnering with our customer and bringing more than six decades worth of experience to bear to solve your issues. We can custom-blend our products to suit your individual needs, whether it be five gallons or five tankwagons. We have technical personnel who provide individual, personalized service. They are backed up by two full-service, laboratories and over 100 years of R&D and engineering experience. We welcome challenges and understand that a collaborative effort brings results. We understand cost savings. We have provided hard cash, documented savings for our customers in the 10’s of millions of dollars. We provide value, support and peace of mind.